This is a tale of two associated companies and HMRC’s disallowance of nearly £50,000 of input tax, resulting in the VAT officer involved getting a very nice little bonus, so read on…..
Bob Antsy is the sole director of a building company Antsy Builders Ltd. It is VAT registered and been trading for many years, so has a long history of credit worthiness and good relationships with suppliers. Bob has spotted a gap in the market, to build and install wet rooms for elderly people, so he formed Bob’s Bathrooms Ltd for this activity. As Bob’s Bathrooms will be buying a lot of stock, Bob decided to VAT register the company straight away. As Bob’s Bathrooms was a new business, it couldn’t get credit and good discounts from suppliers – that takes time. So Bob made a commercial decision to use the supplier accounts of his other company: Antsy Builders to buy all materials. This meant that purchase invoices issued by suppliers were made out to Antsy Builders Ltd, although payment for the goods was made directly by Bobs Bathrooms Ltd.
Can you guess the VAT problem that is now lurking like slippery soap on the wet room floor? Bob’s Bathrooms claimed input tax on the materials and also processed the invoices through its purchase ledger. This is the correct procedure, because there is a ‘direct and immediate link’ between input tax claimed and the subsequent output tax that will be declared on the company’s jobs. It would be wrong for Antsy Builders to claim input tax because it has never owned the goods. If this situation had been considered before the arrangement between the two companies started, my advice would have been that the VAT should be dealt with by Antsy Builders effectively acting as an agent. In other words, Antsy claims input tax on the purchase of the goods, and then raises a sales invoice (plus VAT) to Bob’s Bathrooms. Then Bob’s Bathrooms would claim input tax on this invoice, all in the same VAT period. The raison d’etre for an agency arrangement is because Antsy Builders never owned the goods. The VAT officer was satisfied that there was no duplication of input tax and that only Bob’s Bathrooms had made a claim, but he still reduced the input tax claimed by that company. 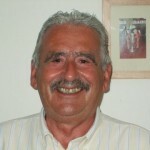 Rather than dispute the rights and wrongs of the situation, Bob Antsy accepted the ruling and simply claimed back input tax on the next VAT return of Antsy Builders and at the same time raised a sales invoice to Bob’s Bathrooms. Thus there is a nil VAT payment for Antsy Builders, a £50,000 input tax claim for Bob’s Bathrooms and a VAT assessment to be paid, all in the same VAT return period. Was the HMRC officer correct in issuing the VAT assessment of £50k? According to the strict letter of the law, the answer is yes as Bob’s Bathrooms did not have a proper tax invoice to supports its claim, because the documents were made out to a separate company. However, to rephrase the question, did the HMRC officer’s actions actually raise £50k for the treasury’s coffers? Put this way the answer is no, so was the issuing of the VAT assessment a pointless exercise? Could he and should he have used the 1995 VAT Regulations (Reg 29-2), which gives a HMRC officer the power to accept alternative evidence in the absence of a tax invoice? This regulation provides that if VAT has been paid by a business on expenditure clearly relevant to its taxable sales it can be allowed. The VAT officer dismissed this regulation on the basis that Bob’s Bathrooms did have a tax invoice, so alternative evidence was not necessary, but was he right and was there a darker underlying motive in him dismissing Reg 29-2 and issuing the large VAT assessment? The Antsy case reminds me of another case that I was personally involved with a couple of years ago, which also involved a VAT inspector and an assessment raised which raised peanuts for the treasury. In this case the sole Company Director had made errors on a succession of VAT returns, which the routine inspection revealed. The visiting inspector was satisfied that mistakes made were largely due to the Director being preoccupied with his seriously ill wife, who eventually passed away after fighting motor-neurone disease for two years. I was able to demonstrate that over the two years, whilst the correct Output Tax on sales and Input Tax on expenses had not always been entered in the correct VAT quarter, the Net VAT difference was a paltry £17.83 over 2 years and 8 VAT returns. So what did the inspector do, he issued a VAT assessment for £18,529 for the Output Tax underpaid and informed me that the £18,511 underclaimed Input Tax, be entered and claimed back on the next VAT return. 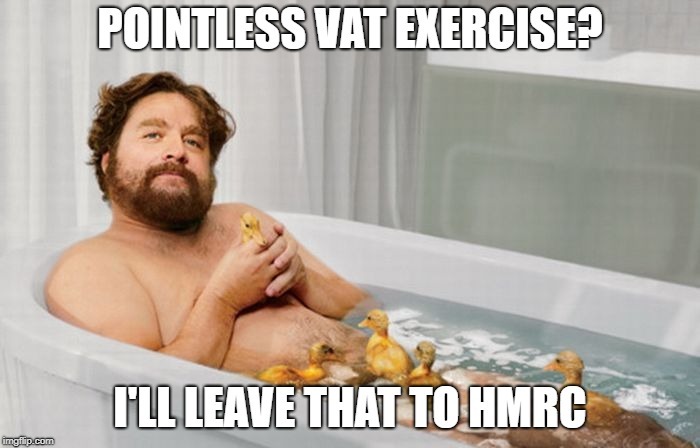 So why you may well ask, was the VAT assessment raised as the errors pretty much balanced out? Once again the VAT officer was correct according to the strict letter of the law and yes, you’ve guessed it, once more the 1995 VAT Regulations regarding common-sense discretion were ignored. To perhaps shed some light on the motives of the two VAT inspectors, it may interest you to know that HMRC operate a Bonus scheme for inspectors’ assessments and penalty notices. As a result of a Freedom of Information request, it was recently revealed that an average of £500,000 in bonuses per annum has been paid out to inspectors over the last 10 years. The scheme that operates for HMRC officials working on tax investigation provides for a recognition bonus for staff, to reflect “exceptional in-year performance”. It will not surprise you to learn that the key criteria in awarding a bonus for “exceptional in-year performance”, was the amount of revenue raised through tax assessments and penalty notices. So in the Antsy Builders and Sunset Taverns cases you can make your own judgement as to whether or not the visiting VAT inspectors were merely sticking to the strict letter of the law or had a more pecuniary motive.